Chair adapted to the size of a child; it is equipped with a safety harness for keeping the child seated and attached to the rear seat by the seat belt. 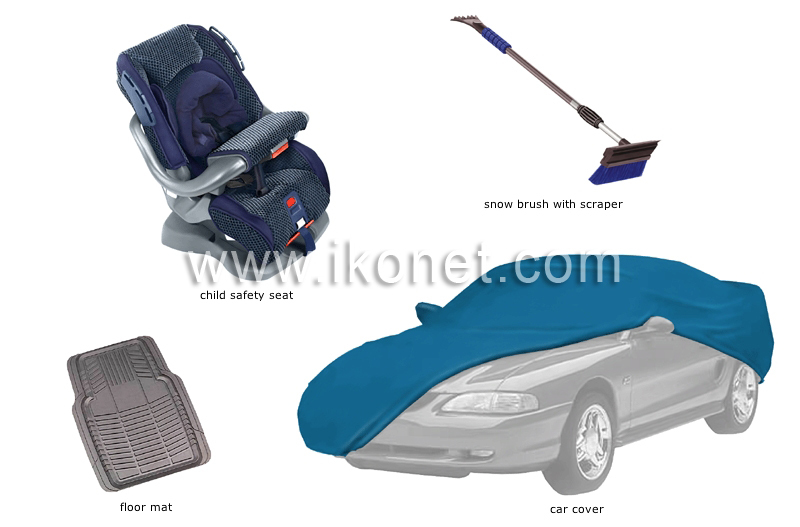 Fabric or rubber covering placed under the passengers’ feet in order to protect the floor of the vehicle. Small broom with one end for removing snow from the vehicle and the other for scraping ice off the windows. Flexible casing for covering and protecting the vehicle from the sun, dust and inclement weather.